If there isn’t a theory in physics suggesting that matter seeks to expand to fill empty space, then maybe there should be! Clearly such a theory would explain why it was that, having a 3 car garage and a handshake agreement with the better half that one bay would stay empty for guests, that very same bay inevitably found itself occupied in short order! By my reasoning the combination of a 3 car garage and the well maintained and lightly trafficed back roads of my part of Pennsylvania presented an absolute air tight argument for owning yet another car; in this case a “purely fun” car. For my wife’s part lets just say she was “grudgingly indulgent” which was enough to seal the deal! With my daily drive holding steady at the FJ, and the wife really enjoying her 330xi, I decided that a proper sports car was once again in order as I was really missing owning one. It seemed criminal that I had owned great cars like the Vette, NSX and 911 while trapped in the wild lands of Brooklyn and, now that I was living in the comparative paradise of PA, was attending cars and coffee in a big truck 🙂 This time around, since there would be no need for my wife to drive it (this was the initial theory, mind you), all signals were go to finally buy one of these cars with a manual trans the way nature intended it. After searching around a bit, I discovered that a specific car I had long admired from afar on the forums, was up for sale clear across the country in CA by it’s latest (and 3rd) owner who I also recognized from the forum. With no further adieu, I give you…. Holy moly that’s a list of mods! This is a kind of dream list for me, but one I would never attempt on my own. It would simply take too much time and effort, especially given how few and far between good shops are in the NE, to arrive at that level of aftermarket setup. It was fantastic to buy such a perfect package “pre-made” and well sorted out by the West Coast tuners. For example the supercharger had actually been installed by Comptech. So how different was this, my third, NSX? It was very interesting to see a pristine 99 (she only had 19k miles on her when I took delivery) and contrast it to my original 98. It became immediately obvious that the 98 wasn’t a good representation of the car due to its unfortunate history. The 99 was leagues better both in terms of fit and finish and paint quality. I attribute this, again, purely to the history of that car. That said, the 03 was still just a bit better. It’s a “total package” thing where the small touches, and manufacturing efficiency improvements over time, add up. The 02+ cars definitely represent the height of NSX build quality. Ergonomics of course remained the same, but there was now a third pedal and a shifter, both of which were sublime. I commented a bit on the clutch and gearshift action in my overview of the 98, but it is worth reiterating that the NSX is as close to a perfect balance of drivability and high performance as you can get. Honda Civic around town, Ferrari on the track with an easy going clutch and responsive gearshift that provides good feedback with minimal resistance. I must say that I do prefer the 911 clutch, but we’ll save that for a future entry! 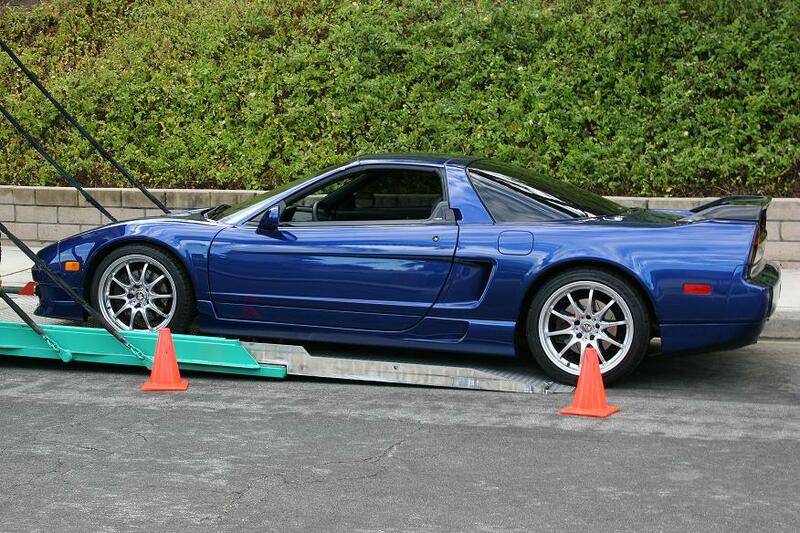 It isn’t an exaggeration to say the 6 speed, 3.2L, NSX is a completely different car than the auto. The NSX is a car that can be incredibly rewarding and special even without rowing gears, but it is something akin to having a banana split and ignoring the ice cream. When you add in the visceral connection of operating a really well designed manual, to an already nearly perfect car, you get an experience that is magical. The performance is also noticeably better. The gearing on the 6 speed is terrific and allows for very quick street starts. Now… take all of that foundation, and bolt on 100HP. Shake it up. And drink. If the 3.2L is a whole different car, the supercharged 3.2L is in a different dimension. With the carbon fiber bits and mild weight reduction, this car was sneaking in at just under 3000lbs (about 2970), and with the Comptech at 6PSI, it was dyno’d at 355HP to the wheels. Being conservative we are talking about a 400HP, 3000lb car. With the SC, this 99 was scary fast. And with the Tubi, it sounded scary fast. A reasonable argument could be made that if Honda had just bought Comptech, and made the supercharged 3.2 the standard setup for an incremental update to the car, there is a good chance it would still be around. The increase in power was that significant. The amazing thing is that the NSX was so well engineered to begin with, the addition of that much power really didn’t upset it’s balance. Of course the sway bars were beefier, the aftermarket coilovers were stiffer, the NSX rotors were larger and the Mu pads were stickier, so those factors all contributed. The only issues I had with the 99 were wear and tear and regular maintenance. I did find the Tein suspension setup to be a bit chatty over rough roads, which I believe is likely the pillowball mount issue, but it wasn’t bad enough that I addressed it. On the maintenance front I ended up replacing the battery and of course oil regularly, and more significantly, having the 6 year/90k mile major service done. This is the big one and includes the timing belt (which often requires engine removal), valve adjustment, various belt replacement and inspections, etc. That was a pretty big bill to the tune of $2800 at Davis Acura (home of Bernie, one of the best NSX techs left working), but is vitally important to have done. One potentially big gotcha with the NSX is, like a Ferrari, many people buy these cars, keep them just long enough to need something, and then sell them. The new owner rinses and repeats and these big important service items never get done. Either the folks can’t afford them, or for some other reason just refuses to do them. Compounding this is the fact that there aren’t a ton of folks left who can really be trusted to do major work on the NSX and almost none of them are at Acura dealers. There is the aforementioned Bernie at Davis in PA (who is partially retired), there is the phenomenal NSX genius Larry Bastanza in upstate NY, there is “The Barnman” down in GA, there is the legendary Mark Basch out west, and a handful of others. Definitely an important consideration when considering the “bargain exotic”. In conclusion, the heavily modded California special 99 was the most exotic, and wildest, ride I had owned to date. I took it to the “Cool Cars for Cats and Dogs” event in Hershey PA (charity event raising money for abused animals), and took second place in the “Asian Import” category (losing to a track prepped GTR), and got compliments on the car everywhere it went (including from owners of high dollar exotics like Murci’s and 458s) It was such a special car it was really painful to sell her, but eventually we decided that 3 cars was excessive and we should downsize back to two. Of course that didn’t last!